Like the pot sellers of Austin, Natalie Sideserf owes much of her success to Willie Nelson. Well, an edible version of him anyway. Soon after relocating from Cleveland to that Texas town, the artist-turned-baker had the crazy idea to craft a hyper-realistic likeness of the country legend out of delicious cake. “I had this goal set in my mind to learn how to use these materials as if they were traditional art materials so I could use my artistic side to do some really extreme things, except that it's edible and it's cake,” explains Sideserf, owner of Sideserf Cake Studio. While countless pastry chefs have followed in her footsteps, Sideserf was a pioneer in the field of lifelike, often over-the-top, edible confections. 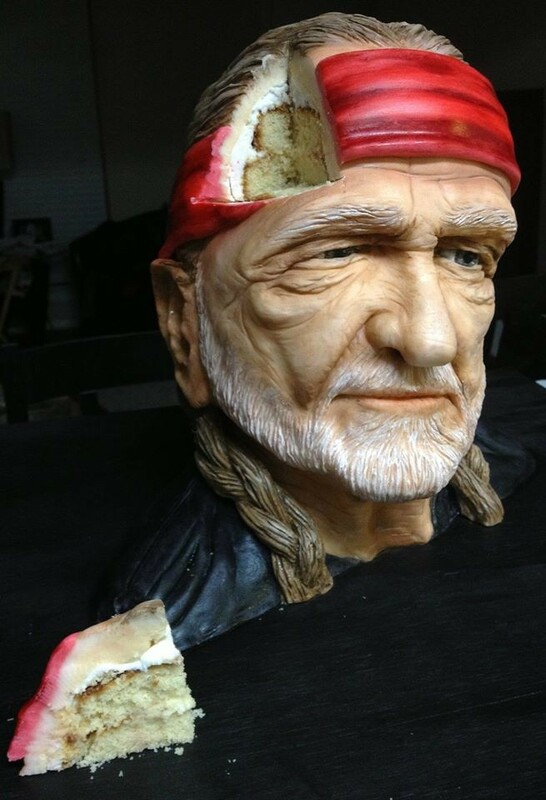 That tasty Willie Nelson cake landed on the front page of Reddit and all of the sudden, everybody wanted a taste of Sideserf and her cakes. When Sideserf married her husband, it was only natural that she would bake the wedding cake. 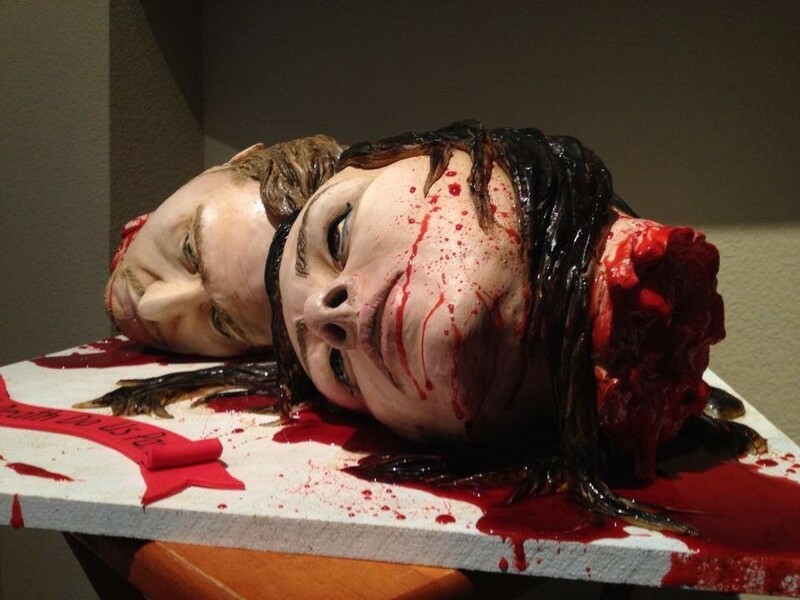 What wasn’t expected was the form it would take: her and her betrothed's severed heads in a bloody scene straight out of the Walking Dead. When you’re staring down a work of art like one of Sideserf’s artistic creations, it must be unbearable to demolish it with a knife, no? And there are no brains oozing out. Recently, Sideserf has been teaching classes in her technique, and she’ll be doing so in Cleveland from 10 a.m. to 4 p.m. on June 18, at the Westin Hotel (777 St. Clair Ave.). The cost is $210.00. Unlike clay, which is patient and forgiving, using edible materials as art materials presents a special set of challenges, Sideserf explains.